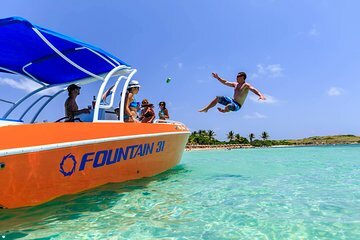 Explore the natural landscape of St. Maarten without the hassle of planning on a boat cruise to the best snorkeling areas for spotting wildlife. With free time to relax, swim, or explore at your own pace, this tour is a popular choice for families with children and visitors traveling in groups. No need to plan logistics: Complimentary snacks, refreshments, and an open bar are included.